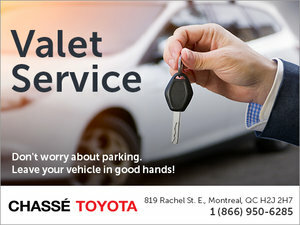 Saving money is important to you, and at Chassé Toyota we want to do everything we can to help you with special offers and tantalizing discounts on all of our Toyota vehicles and after-sales services. 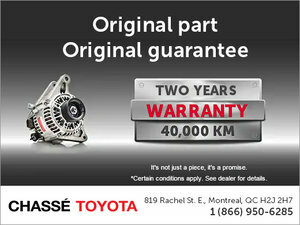 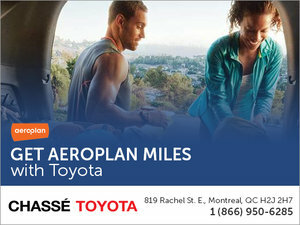 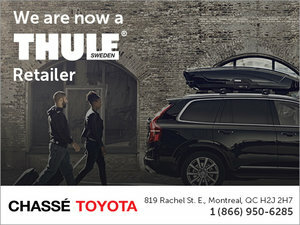 At Chassé Toyota, you will be amazed by our wide range of attractive discounts when buying a new Toyota vehicle. 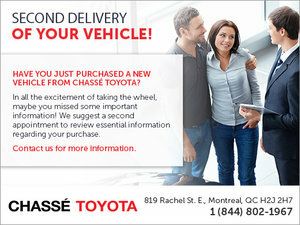 You will also benefit from very low interest rates when buying or leasing your new Toyota. 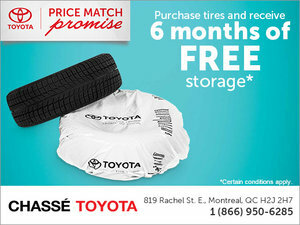 At Chassé Toyota, we do everything we can to help you save money. 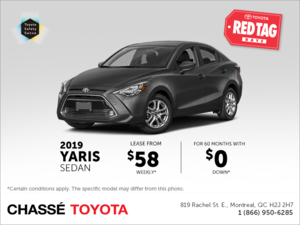 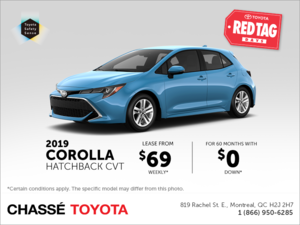 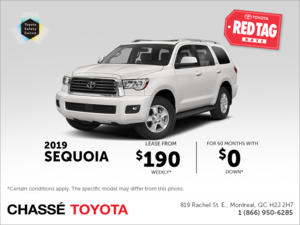 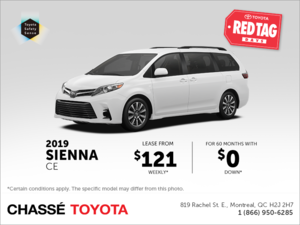 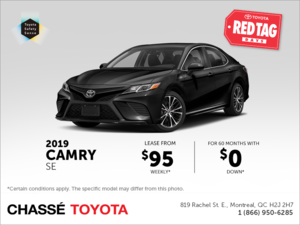 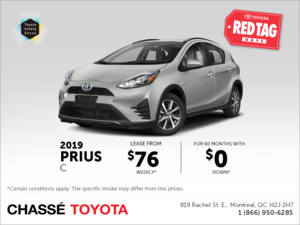 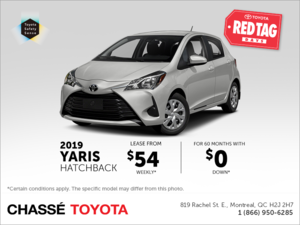 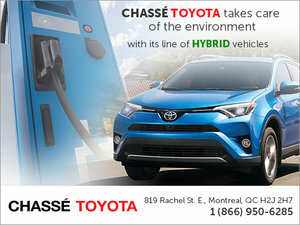 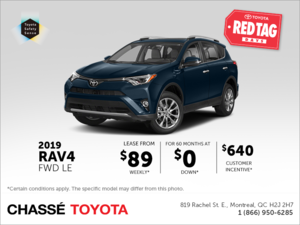 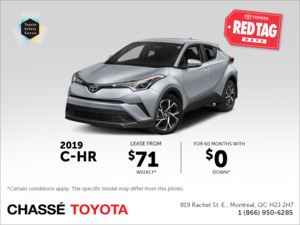 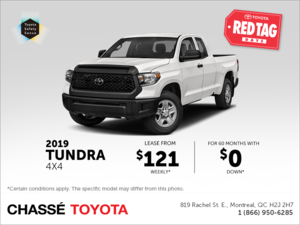 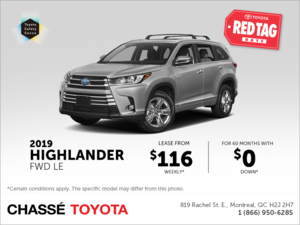 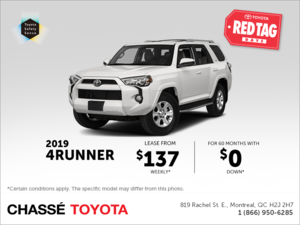 Chassé Toyota also offers you attractive financing plans for the purchase of a new or used vehicle as well as great promotions and discounts on the purchase of a used Toyota model. 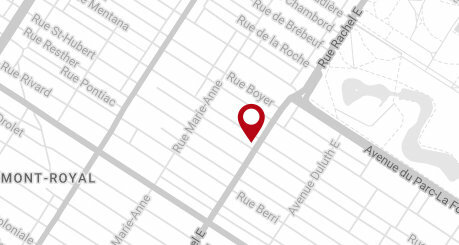 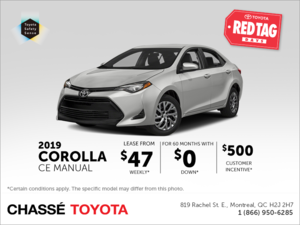 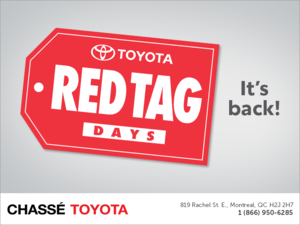 You can also take advantage of seasonal offers as well as year-long discounts at all of our after-sales departments such as maintenance and repairs, original Toyota parts and accessories, summer and winter tires, and our detailing services. 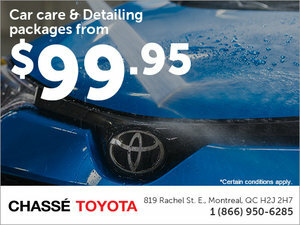 To learn more about our discounts and special offers, contact us today at 1 866 950-6285 or by our contact form.